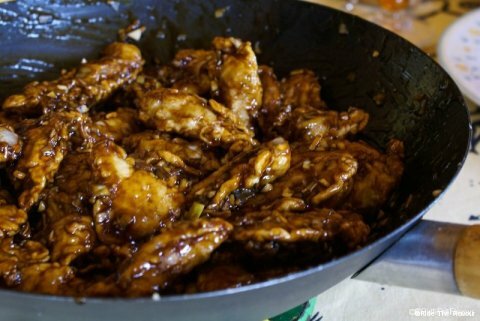 We will not touch Chinese soil… And yet, China is enriched by an incredible culinary culture: we cannot reasonably leave it out. So here is a dish which pays homage to this vast country and which will surely impress your taste buds! 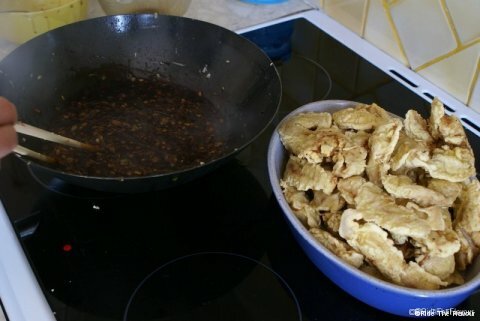 After the makis-sushis from Japon, we are happy to present you the fried porc with black vinegar from China! 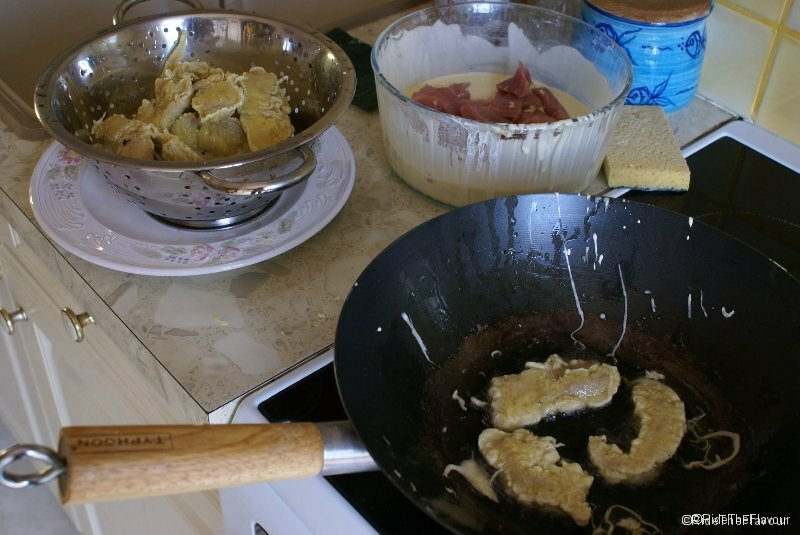 The atypical ingredients are shown on the picture below. From left to right: cooking rice wine, black vinegar, soy sauce, weijing powder and sweet potato flour. 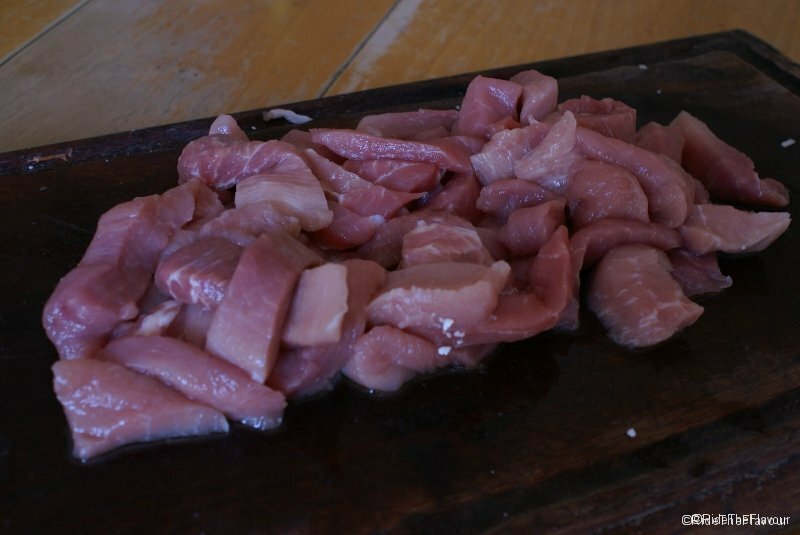 1) Cut the porc in strips as you can see on the following picture. 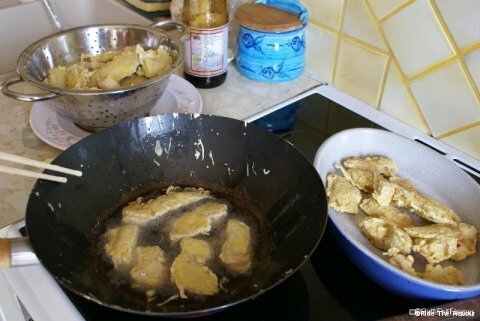 Add salt (1/2 csp) and weijing (1 csp). 2) For the batter, mix the two types of flour with eggs and add some water until you get a thick liquid. – First, dip the porc strips into the batter and fry it in a pan with 1cm of oil. Take it out when they become a bit colored. 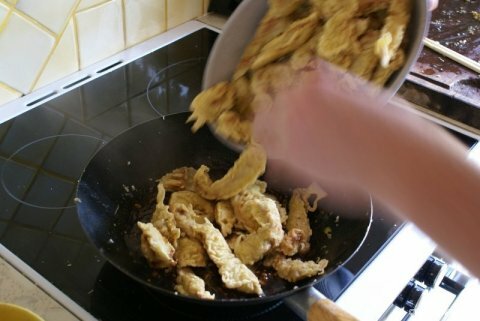 – Wait a moment (about 5 min) and fry them again until they get a gold color. 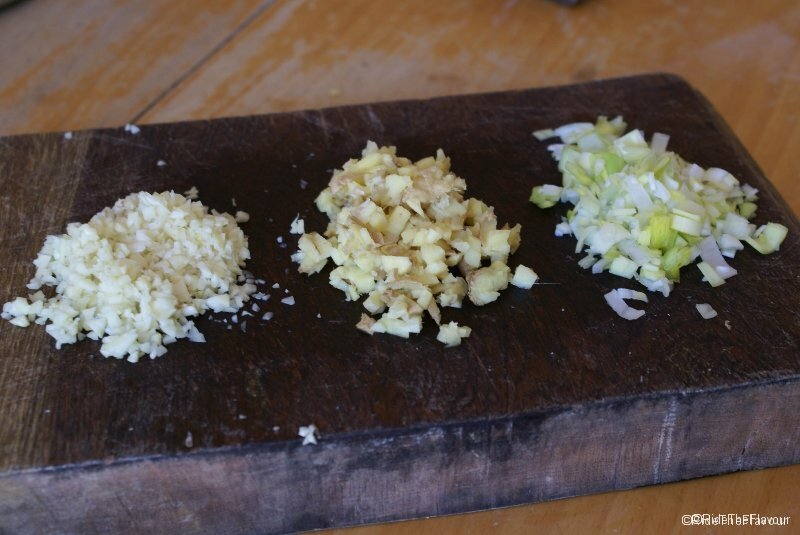 4) Cut the garlic, leek and ginger in “confetti” and brown them a little with some oil. 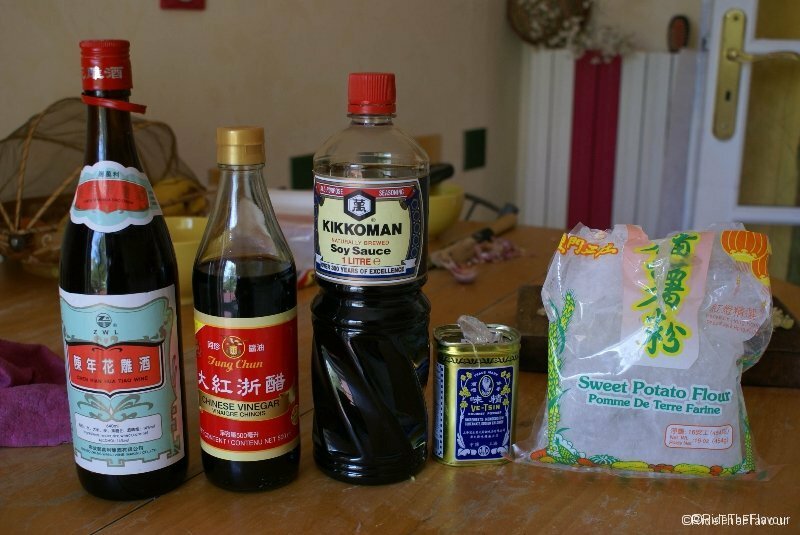 5) For the Sauce, mix 6 tablespoon of black vinegar, 4 tsp of soy sauce, 2tsp of rice wine, 2tsp of sugar and 2 of the raw “crunchy base”. Pour it on the garlic, leek and ginger and cook it until the sauce gets syrupy. 5) Then, put the pieces of porc into the sauce and mix it. That’s it! You have in your plate the flavours of China!